For home or field training! This 1/2-mile-range collar system has 16 levels of momentary (Nick) and continuous stimulations. Also has a vibration feature, a handy tool in dog training. 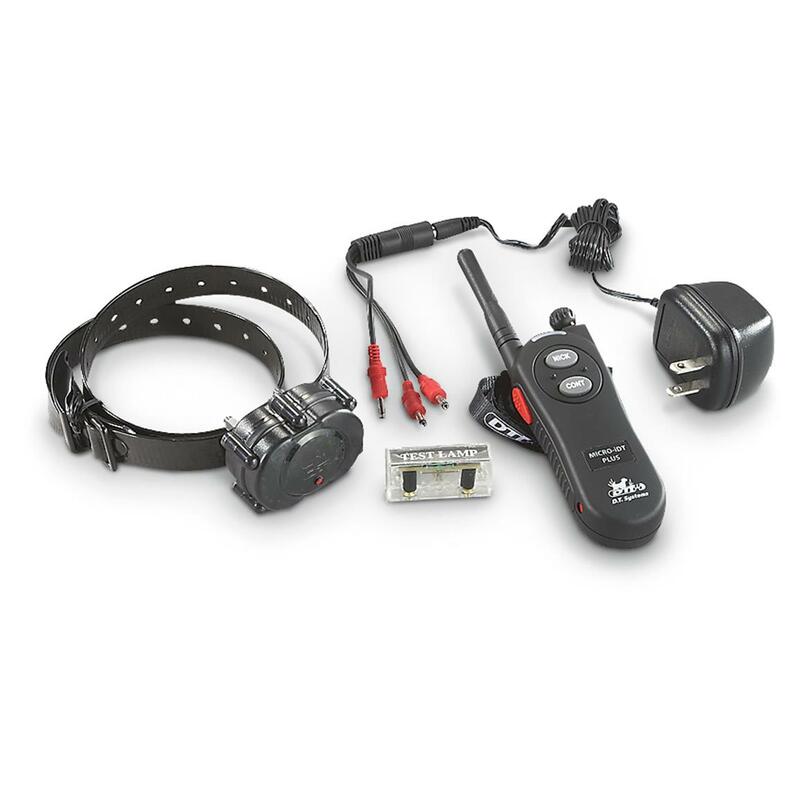 And if you ever decide to get more dogs, the Micro-iDT PLUS can expand up to a 3-dog system. 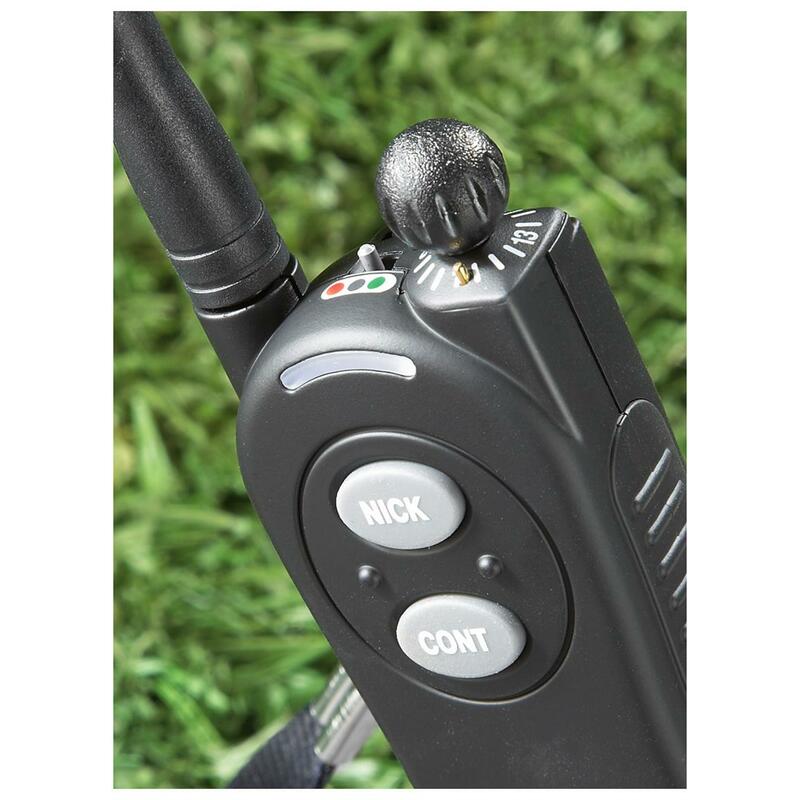 The collar unit is completely waterproof, while the transmitter is weather resistant. Fits small and large pooches comfortably. Waterproof collar is 2 1/4" x 1 3/4" x 1 1/4"
Micro-iDT PLUS Remote Waterproof Dog Training Collar System is rated 4.5 out of 5 by 28. Rated 4 out of 5 by Pianotuner from Works as expected. Instructional manual needs clarity. After some expierimenting finally found where the charging receptacle was located. How to turn it on and off. Clarity could be implemented. Also a simple inexpensive clip to tether the long tail of the collar would help greatly. Rated 5 out of 5 by Kevin7 from Best collar yet for our 1 year old Chocolate Lab! We've had this collar for several months and absolutely love it! Our dog is very responsive to this and the distance is great! I highly recommend this collar to any one in the market for one! 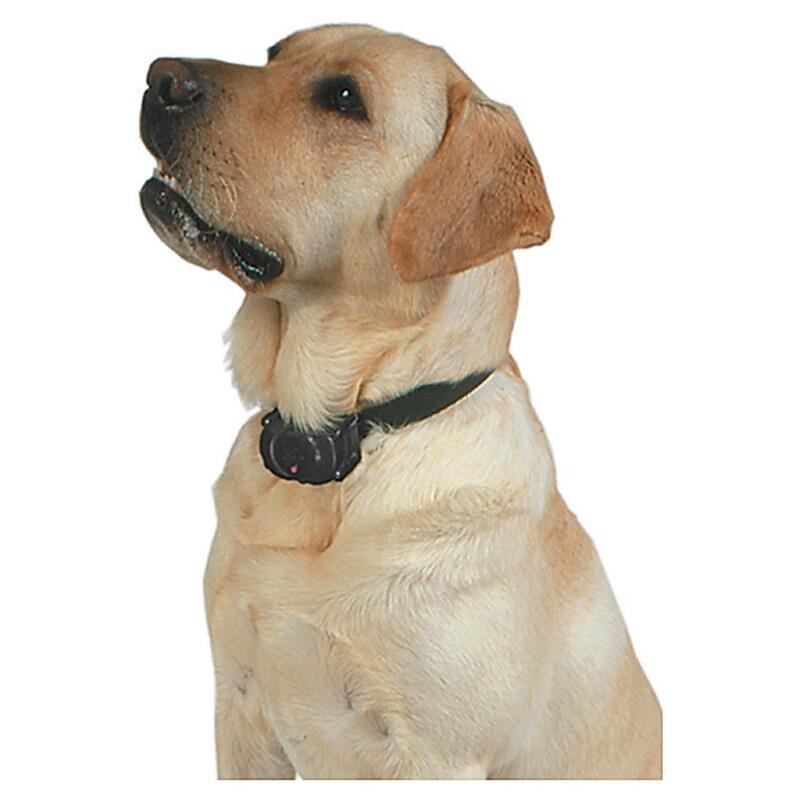 Rated 5 out of 5 by Pmack from This collar is reliable, durable, and easy to use! I purchased my original MICRO -IDT over 5/6years ago. After all my research, this collar was the most economical way to start training my English Springer. It functionality and seamless use made for easy handling and operation. Coupling that with the contour fit for my Springer I was an immediate fan. Over the next two years I used that collar on a weekly basis, either in the field, at home or for our training exercises my MICRO-IDT was never far away. Then one beautiful November morning, tragedy struck. While preparing for the morning Grouse hunt, my benevolent mother decided to help. Great, I appreciated her time, she took care of the Kevlar-vest and the E-collar. Now, I’m not laying blame, however I was approximately 100 for 100 in putting on and taking off the collar successfully. She “helps” once and that record is spoiled. After a beautiful flush, shot and retrieve I’m thanking my springer for a job well done. That’s when panic strikes, I notice my collar is missing. What follows is complete bedlam. I end the hunt immediately, we back track all the way to camp finding nothing. I recruited the help of my three younger cousins saying a $50.00 dollar reward would be made available to whomever finds my collar. Hearing of the reward I attract my sister and Girl Friend. With a small army in tow, we set back out over my trail in hopes of finding my beloved collar. All this effort and manpower was all to no avail. As far as I was concerned the collar was gone. Monday Morning, I ordered my replacement collar (ORANGE this time) and we were back in the game.That winter, the farmer who owns the land we were hunting that fine November day decided to log the property. That’s when a miracle happened, the forester (tree biologist) who came in after the logging was coming down logging road and there in the middle of one the ruts was my collar. The Gentlemen returned my collar to the farmer and he in turn placed the collar on my porch. I arrived to camp late that Friday, over two years since I lost my beloved collar only to see it hanging over the rail waiting for me. The best part of this elongated story is that the darn thing still works. Yes, I took it apart, doubled checked everything and put it back together. However when I plugged it in and that red light came on I was thrilled. Over two years in the out in the elements – Mud, Ice, Water, and Snow and per the gentlemen who found it, the collar was run over by the skidder. (Vehicle used for pulling trees out of the woods)I’m a customer for life, when asked what I use with my three Springer's it’s an easy answer.